Just one fine handed out to motorists wrongly using a city's bus gate has been upheld at tribunal, figures show. 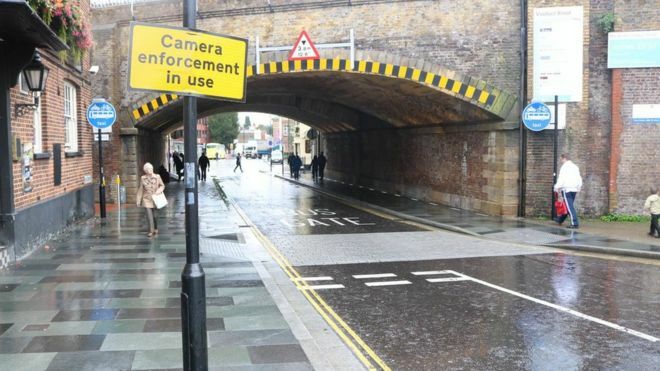 Essex County Council has received more than £1.5m from 43,864 penalty charge notices (PCN) for the misuse of the Duke Street bus gate in Chelmsford, since cameras were installed in 2017. Of the 139 cases which went to tribunal, after the council rejected appeals, a single fine was upheld. The council said only 0.3% of cases had gone to tribunal. Forty-eight cases still await a decision, according to figures obtained through a Freedom of Information request. An Essex County Council spokeswoman said: "The Bus Gate in Chelmsford is there for a reason. It stops cars using the city centre as a 'rat run', ensures buses run on time and, most importantly, keeps pedestrians safe." The spokesman said it had been illegal for most vehicles to drive through the Bus Gate since 2011. Cameras were introduced in May 2017 to try and enforce the ban on any vehicle except buses, motorbikes, cycles and taxis.